There are many benefits to home ownership. Owning your own home means you are your own landlord and can customize your home the way you see fit without having to worry about breaking the terms of your lease. Additionally by owning a home that is either paid off or on a fixed mortgage you don’t have to worry about the landlord raising your rent rates every time your lease is up. Homeownership also conveys many different tax advantages that are not available to renters and can help you save big when it comes time to file your taxes at the beginning of the year. Tax breaks such as mortgage interest tax deduction, property tax deduction, home energy upgrade tax deductions and more are available to homeowners. 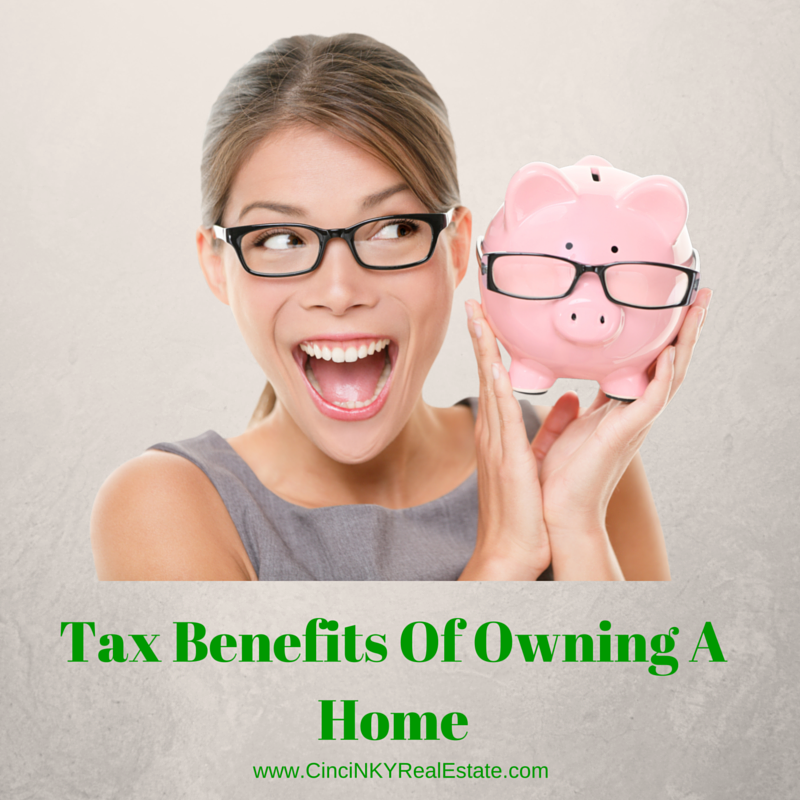 Read on to find out about all the tax benefits that are available to you if you own a home. This tax deduction is by far the most popular and widely used tax deduction for homeowners. The mortgage interest tax deduction allows you to use any mortgage interest (interest on your first or second mortgage and home equity line) you paid in a tax calendar year as a deduction on your taxes. What this means is that if you paid $5,000.00 in mortgage interest on your primary residence during your tax year you can use that $5,000.00 to reduce your taxable income thus resulting in less tax paid to Uncle Sam. For example if you earned $75,000.00 and paid $5,000.00 in mortgage interest in 2015 you will only be taxed on $70,000.00 in earnings due to the mortgage interest tax deduction. The limits on this deduction are $1,000,000.00 for debt taken on to buy the home and $100,000.00 in home equity debt. If you paid real estate property taxes on property you own then you can deduct the amount of tax you paid on your 1040 tax form. The property tax must be paid to the government agency that collects it. Paying them into your escrow account does not count as a payment that you can deduct, so if you want to use the deduction make sure your escrow has paid it to the tax collector or you have paid it. Points are upfront fees commonly used to reduce your interest rate over the life of the loan. One point usually represents 1% in terms of interest rate. If you paid points on a mortgage loan to buy a home or paid points to refinance an existing mortgage those points may be deductible for you. Points paid on a mortgage for the purchase of a first home may be deductible entirely upfront. Points paid to purchase a second home or paid to refinance a mortgage usually must be deducted over the life of the loan. Need some extra money for your down payment? You can withdraw up to $10,000.00 dollars from your IRA without any penalty to help purchase your first home. Be aware though while the withdrawal will be penalty free that does not mean it is tax free as the IRS will still want their cut of taxes on the amount you withdraw, so only use this if you have to in order to come up with a down payment. If you use part of your home for business purposes (art studio, home office, etc.) you may be able to deduct some amounts for the upkeep of your home as well as claim some depreciation due to the home office deduction. Certain rules apply to be able to use this deduction so make sure you check out the IRS guidance on the subject. While you cannot deduct the cost of most home renovations you may be able to save some amount in taxes due to the renovation. If a home renovation is medically necessary then the reasonable costs to make those renovations can be deducted. The interest on a loan taken to make a home improvement may also be deductible. The cost of the home renovation can save you money when you sell your home since you are able to add the cost of the home renovation into the cost basis of your home. What that means is if you paid $400,000 for a home and added $50,000.00 worth of home renovations, when it comes time to sell the home you can treat your purchase price as $450,000. That number being the original cost paid for the home plus the cost of the renovations. This could potentially help you will exceed the $250,000.00 home sale profit exemption based on the sale price. 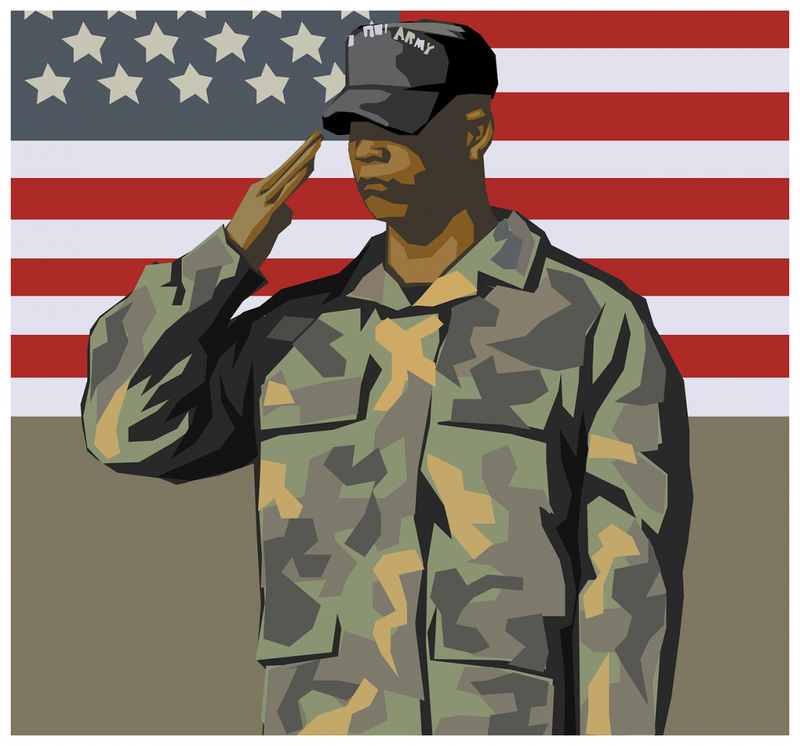 A number of states offer property tax exemptions for Veterans of the U.S. Armed Services. The criteria for the exemption varies from state to state and requirements such as disability level, time of service and more are considered in determining if a Veteran is exempt. For Kentucky a Veteran can get up to $36,000 in property tax exemption if they are rated at 100% disability. Ohio provides for a $50,000 property tax exemption also with a 100% disability rating. For information on other states property tax deductions check out this great link from Veterans United Veteran's Property Tax Deductions By State. Some states also offer property tax exemptions for senior citizens and disabled citizens. The exemptions can be income, property value based and may also have other requirements to meet. To find out if your state offers any such exemptions you should contact the taxation department of the state you live in. Just like above where the cost of home renovations is added into the purchase price of your home to offset your cost basis for tax purposes, you can also add costs of selling your home into the purchase price. Costs such as real estate agent commissions, closing costs, staging costs, and similar fees which you must pay as part of the sale can be added into the price of your home for tax purposes. As with any costs be sure to keep all your receipts and accurate documents to prove you actually incurred those costs. 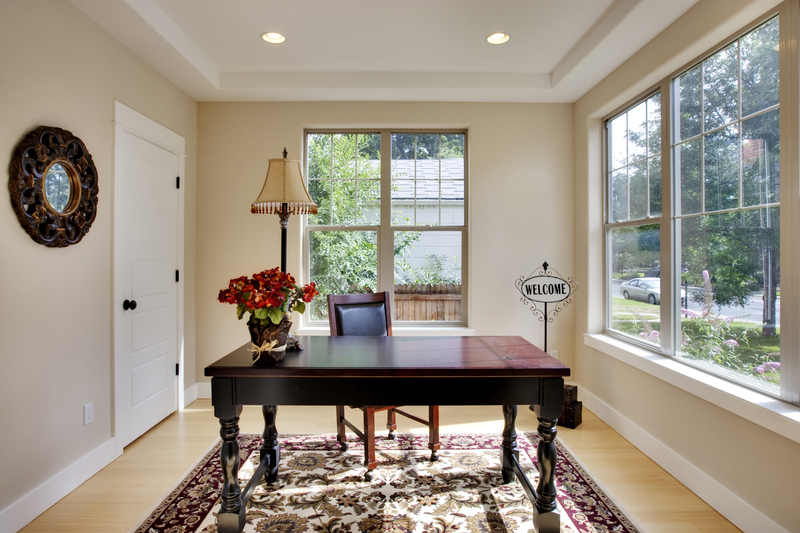 Did you upgrade your windows, doors, add insulation or upgrade your HVAC system? If so you may be entitled to deduct up to $500 dollars ($200 limit for windows) for those upgrades. Unless renewed this tax credit will expire at the end of 2016. If you install any renewable energy devices on your property such as solar panels or wind turbines you may be eligible for the Renewable Energy Efficiency Property Credit. With the credit you can deduct up to 30% of the equipment cost and installation. Unless renewed the renewable energy devices must be installed before the end of 2016 in order to take advantage of this tax benefit. In order to take advantages of these tax breaks you must be a homeowner and unfortunately renters do not get the above mentioned tax breaks. Additionally you should check with a tax professional (attorney, CPA, tax preparer) to make sure that you can take full advantage of these tax credits. As a result of owning a home, come tax season you may find yourself with a reduced tax bill due to all the deductions available! About the author: The above article “Tax Benefits Of Owning A Home” was provided by Paul Sian. Paul can be reached at paul.sian@herrealtors.com or by phone at 513-560-8002. With over 10+ years experience, if you’re thinking of selling or buying, I would love to share my marketing knowledge and expertise.